Powered by triple jets and a separate booster pump, the Polaris 380 is one of our most powerful, durable cleaners and is suitable for all in-ground pools. The Polaris Vac-Sweep 380 pressure cleaner works in all in-ground pools, and requires a booster pump. It features an all-wheel, belt drive mechanism that provides greater vacuum power and faster cleaning (3 hours or less). 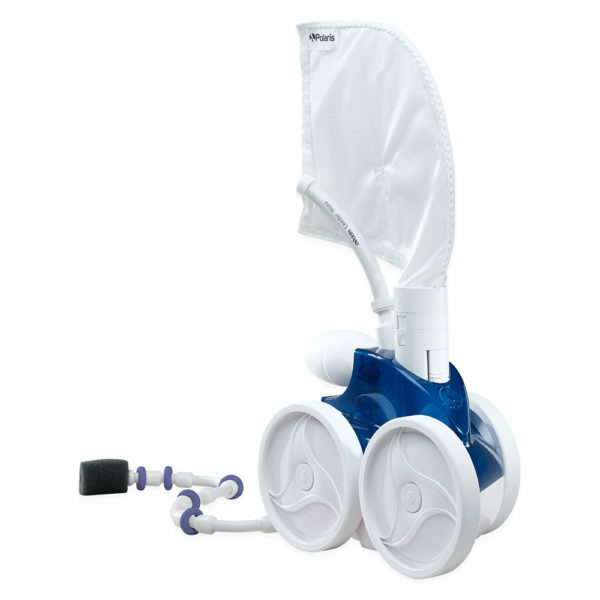 Powered by triple jets, the Polaris 380 sweeps, scrubs and vacuums the bottom, walls and steps of the pool and holds debris in its single chamber filter bag. Its unique filter bag removes debris before it reaches your pump basket or filter, prolonging the life of your filtration system.